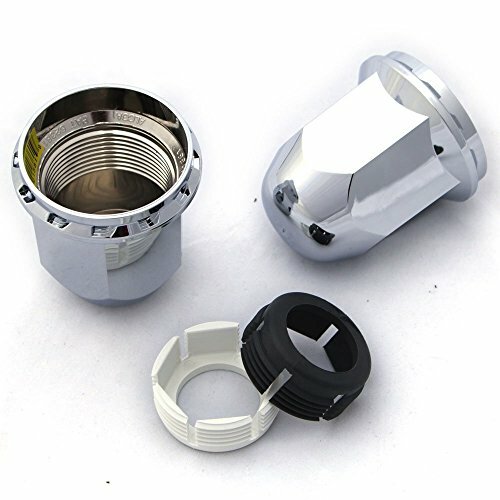 This is an ABS Chromed Plastic Lug Nut Cover to fit Hub-Pilot Lug Nuts (Two-Piece Flange Nuts). Each cover comes with 2 clamp rings to slip over your lugs, and the cover will screw down to tighten against the lug nuts and hold. Set of 10 Lug Nut Covers. Fits only with Alcoa 076100 Front hub Cover and 077100 Rear Hub Cover. Works without any exposed thread past the end of the lug nut. May also need 000600 Alcoa Tool for installation.